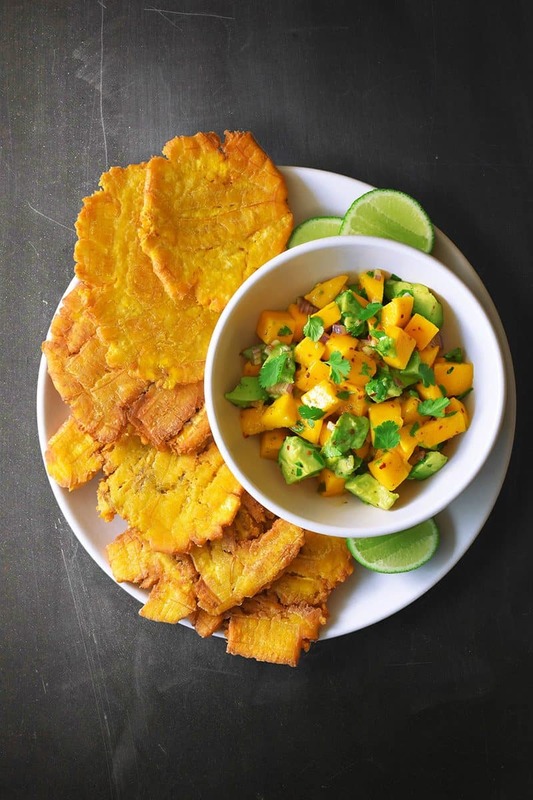 Fried green plantains and mango avocado salsa is the best paleo appetizer! 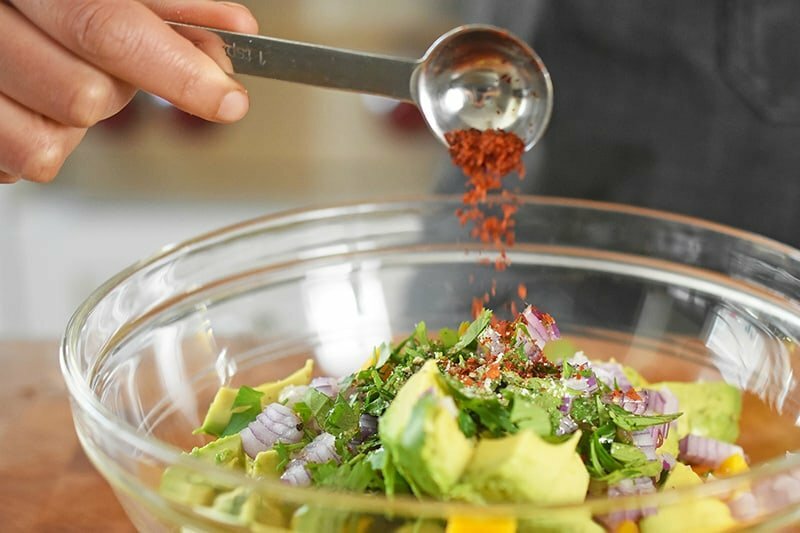 It’s a tasty Whole30-friendly alternative to traditional chips and salsa! 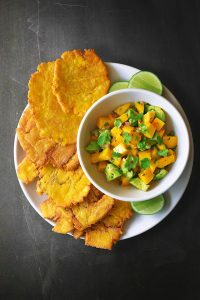 Along these lines, one of my fab new/old pairings is Fried Green Plantains with Mango + Avocado Salsa. 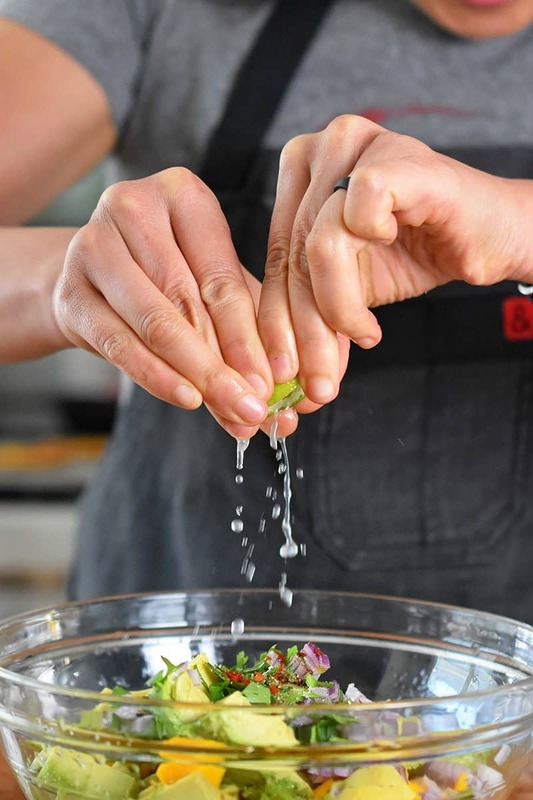 I wish I could say I came up with this recipe revamp, but it was actually suggested to me when I was planning the menu for my Fresh Starts Chef Event dinner a couple years back and I loved the idea so much that I’m gonna take all the credit for it. Even though these recipes are already separately listed in my Recipe Index, I think it’s mean of me to make you click back and forth between two of my old posts, so I reshot ’em and smooshed both recipes together into one post. 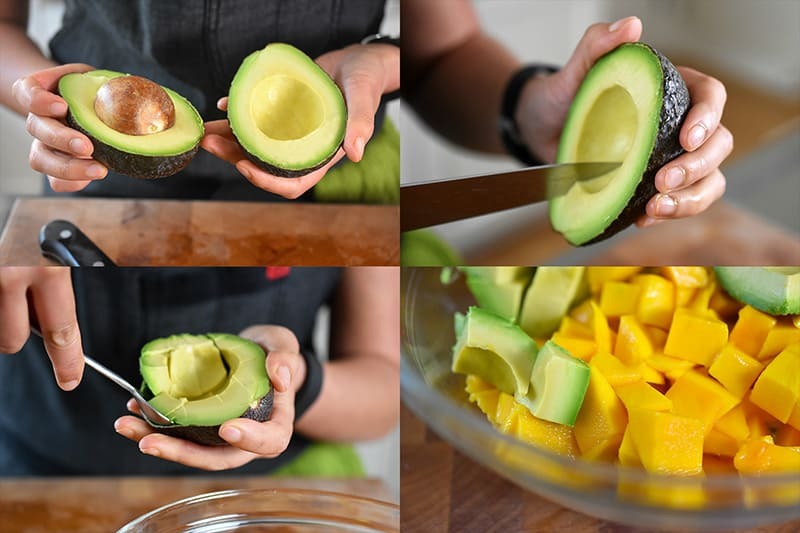 I’ve also added tips on how I like to slice mangos and juice limes like a boss. 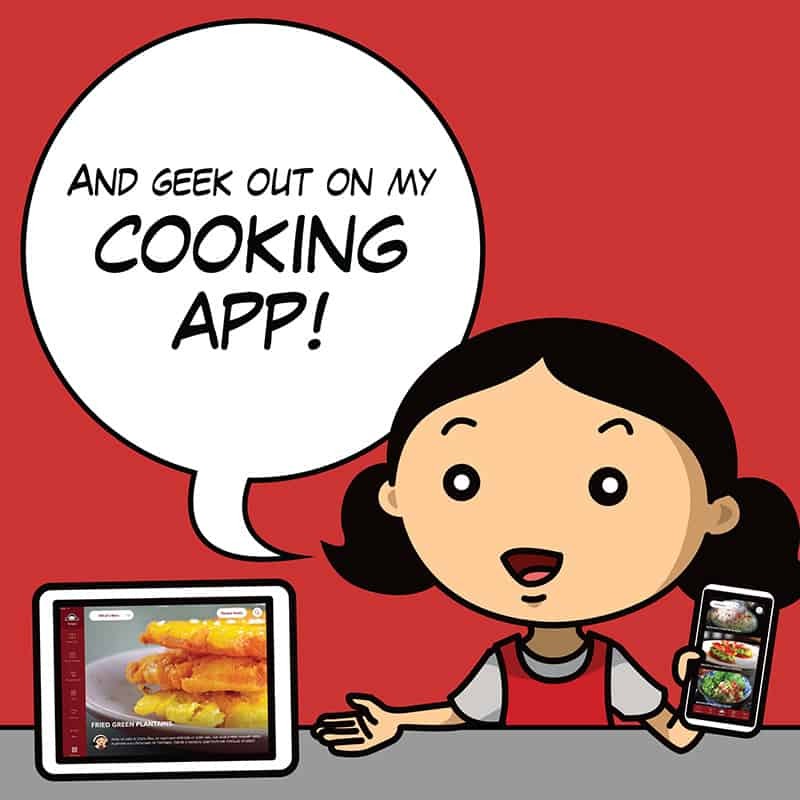 Time to level up your snacks, Nomsters! Make the fried plantains first ’cause the salsa only takes a few minutes to throw together. 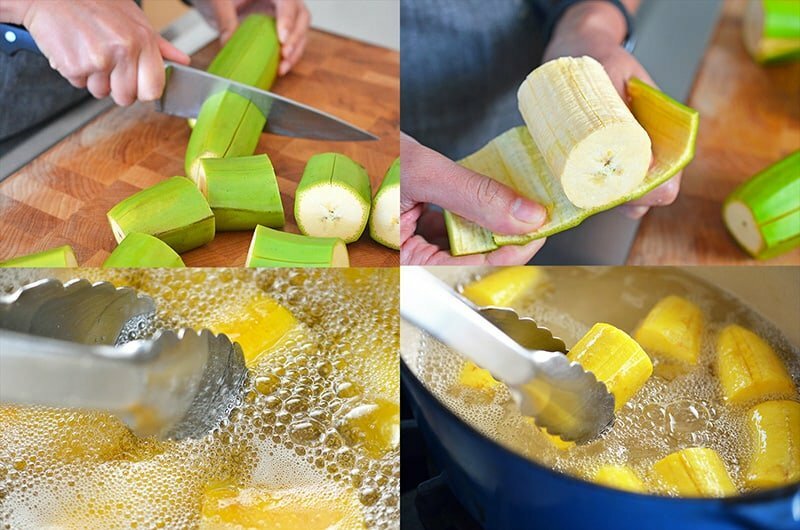 Use a sharp knife to cut a shallow line down the length of each plantain, making sure you don’t cut into the fruit. Then, slice each plantain into three even pieces (about 2 inches in length). Yes, you can definitely cut them into smaller pieces but I like BIG patacones (or tostones). When the oil reaches 325˚ F, carefully lower the plantains into the shimmering fat. The oil should immediately start bubbling around the plantains as soon as it comes in contact. Fry the plantain pieces for 3 to 5 minutes, turning them occasionally, until they turn golden yellow. 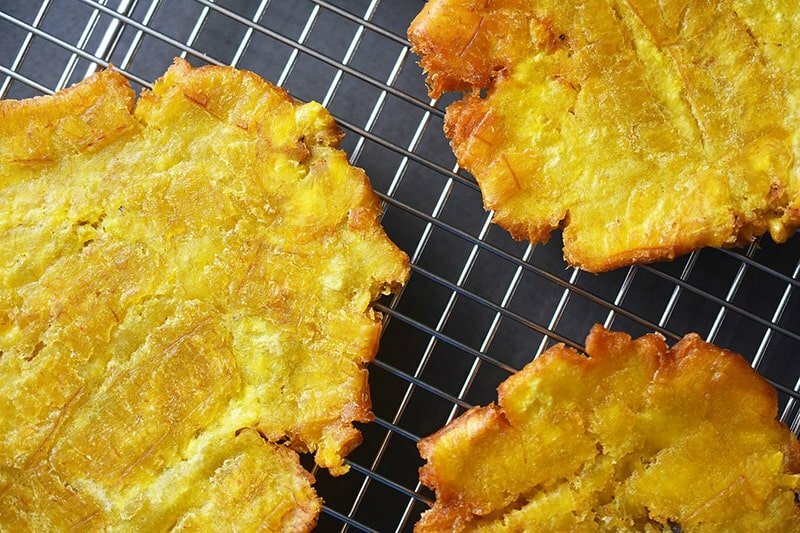 Transfer the fried plantains to a paper-towel-lined baking sheet to drain off any excess oil. 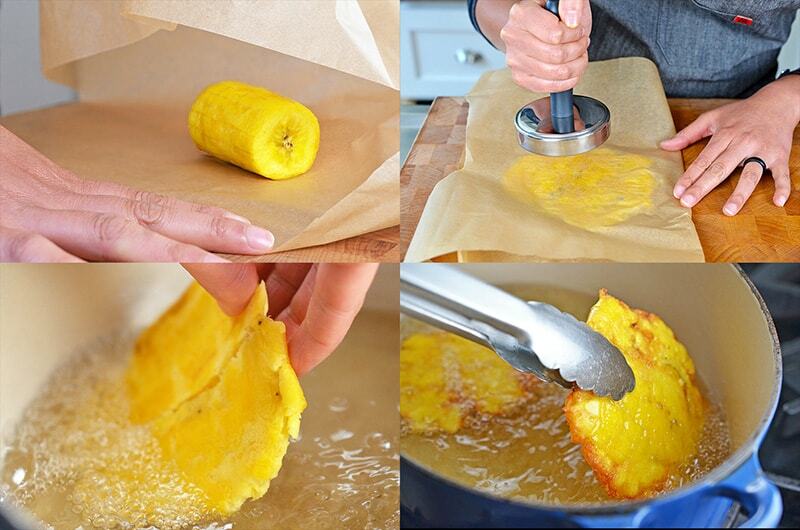 Place a fried plantain between two pieces of parchment paper. 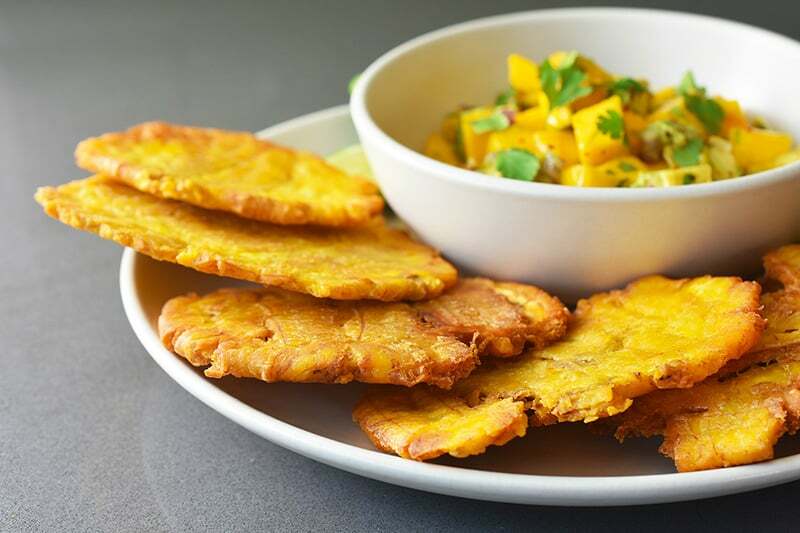 Smash it with a meat pounder, tortilla press, or a small cast iron skillet—or just about anything else that’s flat and heavy—until you end up with a thin (about ¼-inch thick) plantain patty. Repeat until you’ve taken out your aggression on all the fried plantain pieces. Bring the temperature of the fat up to 350˚ F, and fry the plantain pancakes in the oil until crispy, about 5 to 7 minutes. Don’t overcrowd the oil: fry about two to three smashed plantains at a time. Transfer the fried plantains to a metal cooling rack and repeat the steps above with the rest of the batch. Sprinkle coarse salt on top and start making the salsa. 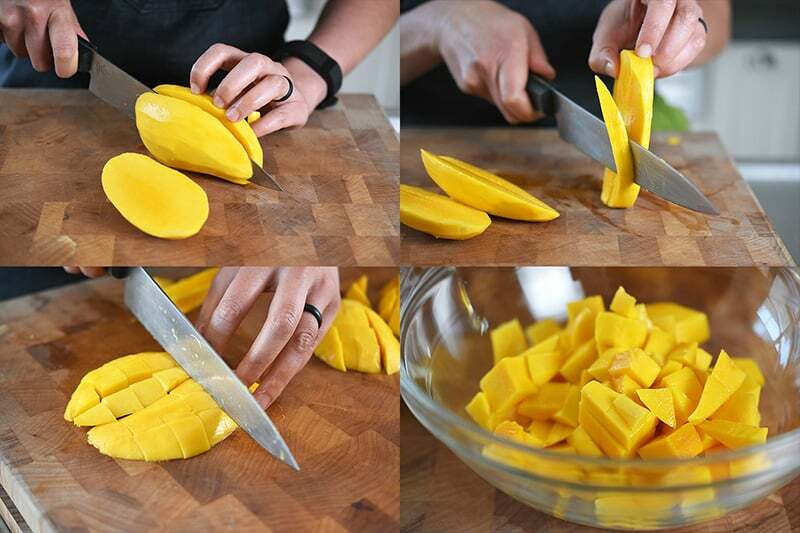 Grab two ripe mangos and dice them up. I like to peel off the skin first with a vegetable peeler and then cut a slice on either side of the flat seed in the center. I also trim off some of the extra flesh on the side of the seed to snack on. …and ¼ teaspoon red pepper flakes. 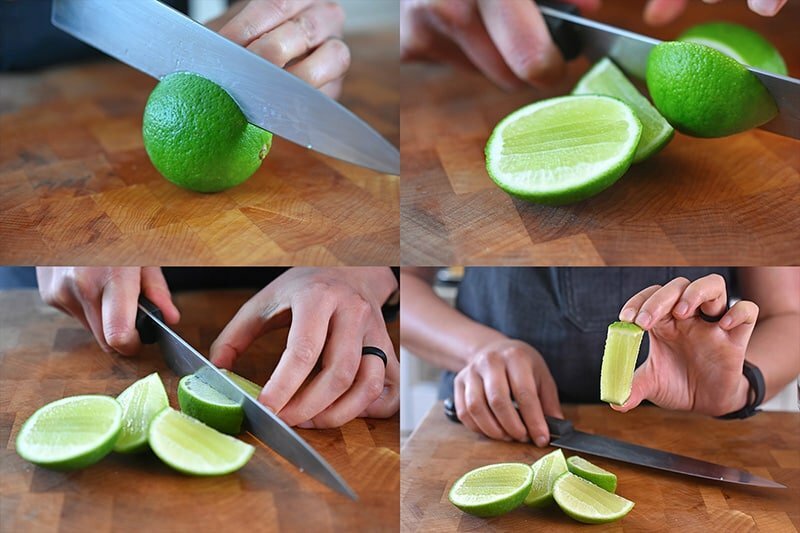 Get a lime and cut a slice parallel to the center. Continue cutting slices around the center core – the center pith and seeds will be trapped in a tidy column that you can squeeze and toss. 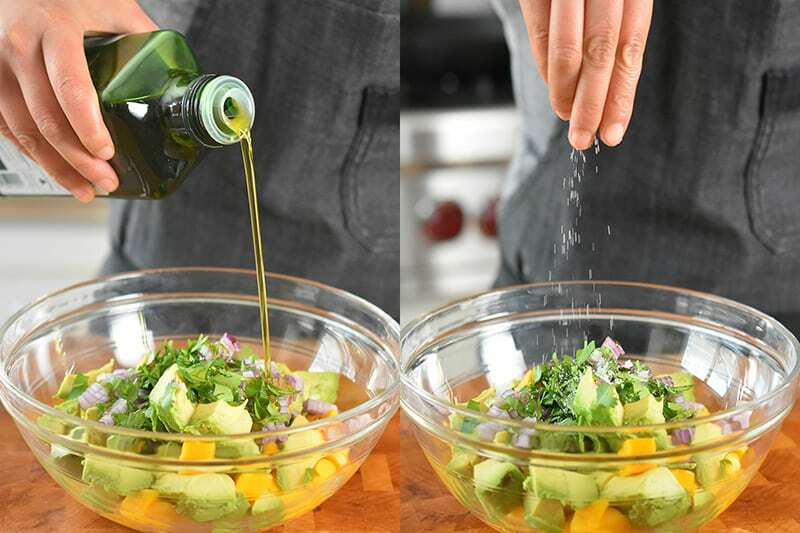 Squeeze the lime juice and marvel at how much easier it is to get every bit of juice out this way! Toss the ingredients to combine, and taste and adjust for seasoning. …but it’s especially amazing spooned on a crispy fried green plantain. If you don’t want to share, it’s totally understandable. 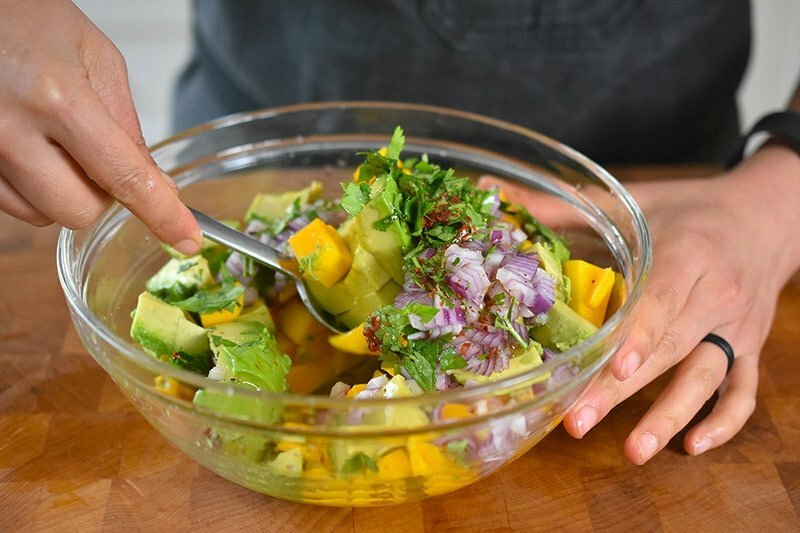 Fried green plantains + mango avocado salsa are one of my favorite appetizers to serve my pals! Sprinkle coarse salt on top of the fried green plantains and start making the salsa. 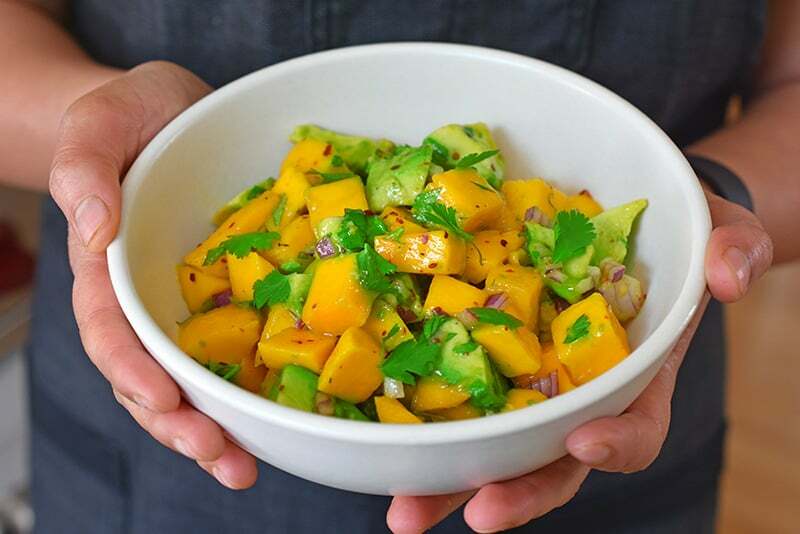 Place the diced mango in a bowl and add in the cubed avocado, ½ cup finely diced red onion, ¼ cup minced fresh cilantro, 2 tablespoons extra virgin olive oil, freshly ground black pepper, a big pinch of kosher salt, ¼ teaspoon red pepper flakes, and juice from one lime. 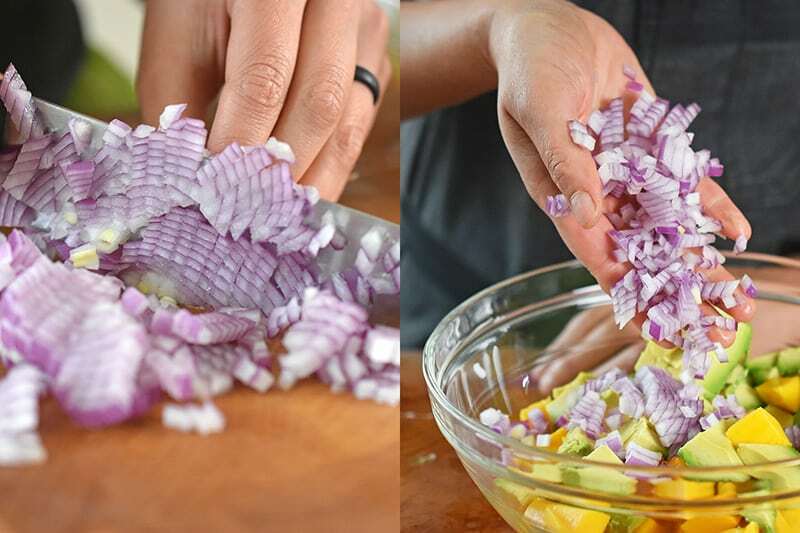 Toss the ingredients to combine, and taste and adjust for seasoning.